It's a fact: Brits make the world's best car journos (as they call themselves over there), if for no other reason than they come up with names like "city yomper." For Geneva, we put our much-feared Hits & Misses franchise in the sure hands of one of the best of the best, Automotive News Europe's Nick Gibbs. Gibbsy grew up on the likes of Lotus, Aston Martin, Morgan, MG, Triumph and TVR. What a country! Aston Martin took a deep breath and gambled that all Rolls-Royce and Bentley buyers choose the same three-box shape and monolithic grille every time because there's no alternative. In a piece of visioneering worthy of Tesla's Elon Musk himself, Aston CEO Andy Palmer reinvented the company's storied but long-mothballed Lagonda brand as an all-electric range of boulevardiers boasting large, opulent cabins and Level 4 autonomous capabilities. The Vision concept limo was one long curve of sensuality, with rear doors that removed part of the roof to allow passengers to stand up before stepping out. Palmer spoke on the sidelines of the show about a tech tie-up with an unnamed Silicon Valley company that had everyone speculating "Apple" and promised delivery of the first car just three years from now. Musk, step aside. 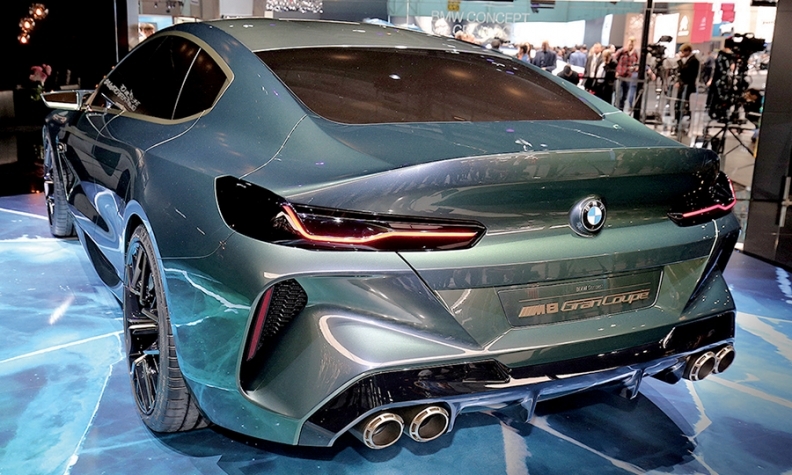 Designers say some baffling stuff, and BMW chief designer Adrian van Hooydonk's description of the roofline of the Concept M8 Gran Coupe as "extremely fast" for a four-door fell into that category. But we forgive him. This preview of next year's sedan version of the 8-series coupe and convertible looks exactly as described: a four-door sports car. It becomes the latest car to borrow the Aston Martin aesthetic of flowing roofline over powerful rear haunches that makes parting with big money so easy. This concept is envisaged as the M8 performance version and looks ready to challenge its biggest rival: the Porsche Panamera Turbo. On this evidence, it already has it beat on looks. Reinventing a sober road car as a winged racer is a marketing trick of long and prestigious standing. 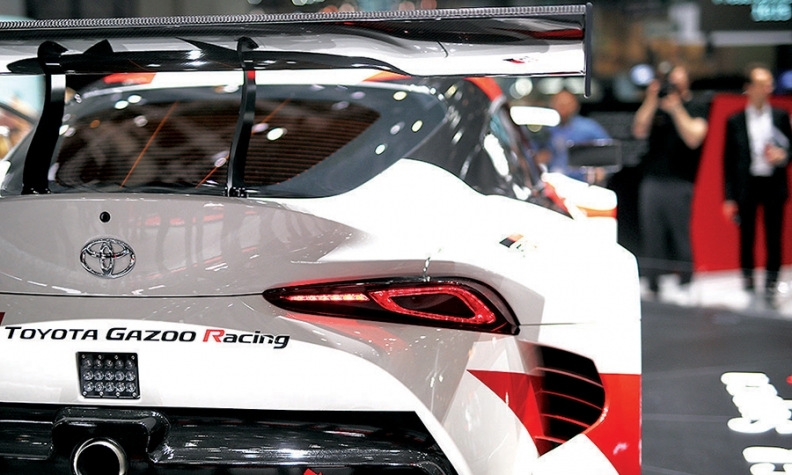 With the GR Supra Racing Concept, Toyota asks us to flip that tradition. Mentally knocking off the racing camouflage reveals a perfectly decent front-engine, rear-wheel-drive sports car that'll respect the Supra lineage and give Toyota a needed halo car when it arrives next year. 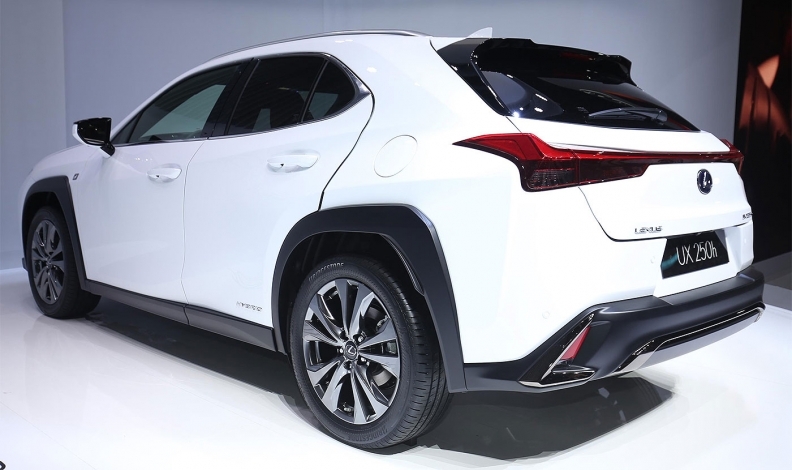 With the UX, Lexus reaches downward to take a swipe at smaller luxury crossovers such as the Audi Q2 but ends up at war with itself over the whole SUV aesthetic. The chunky plastic cladding around the wheel arches and sills suggests a fun, youthful city yomper, but ends ups jarring weirdly with the upscale detailing such as the delicate fins on the rear lights and the spindle grille (always an acquired taste). Shame, because the overall shape is appealing and we applaud its quieter body surfacing compared with the manic NX, its bigger brother. By deciding to import the new V60, Volvo will again generously pretend that our online love of wagons means that we will actually buy them. Modern Volvo is now thoroughly adept at creating this sleekly practical shape that by rights should convert the wagon-curious, but in reality it'll sell a handful and merely whet our appetite for the unveiling of the S60 sedan this summer, marking the first time a Volvo will be built on U.S. soil. The Audi A6's bodyside creases sharpen and fade. Nice touch. 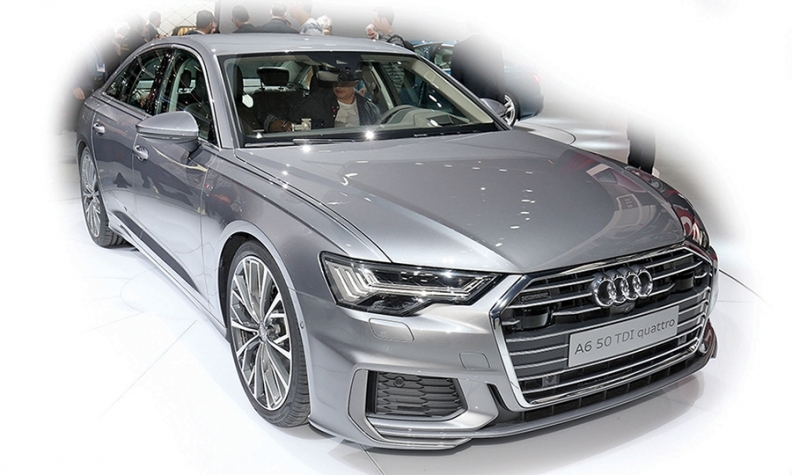 We should be clear: This is only a hit for those in the market for an A6. The rest of us will note the slightly bigger grille and tricksier lights and spend the next three years unable to confidently assert which generation model just drove past us. Buyers, however, will respond to those delicate design details that Audi does so well, such as the bodyside creases that sharpen and fade as they run the length of the car. Like the closely related A8 and A7, the A6 packs a suite of sensors ready for that (possibly phantasmagorical) date when transport authorities will allow Level 3 autonomy and we can write emails in traffic. But it would be nice if those sensors were better integrated into the grille. No surprises but no disappointment either with Jaguar's electric I-Pace. The British Tesla-agitator appeared in production form looking exactly like its concept ahead of deliveries in July. The long cabin, short hood and coupe roof-curve all survived, as did the 22-inch wheels. You'll need them — the I-Pace looks wrong on the standard 18-inch wheels. A meaty 90 kilowatt-hours' worth of LG battery cells give a range of nearly 300 miles and a 0 to 60 mph time of 4.5 seconds, which is Tesla territory. However, the I-Pace is much shorter than Tesla's Model X at 184 inches vs. 199 inches, and it felt shorter inside. In the back, your knees are raised uncomfortably high by a floor thick with batteries. The fit and finish looked excellent, though. Concepts previewing Volkswagen's forthcoming I.D. range of electric vehicles are piling up, and Geneva added a fourth to the heap with the Vizzion sedan. 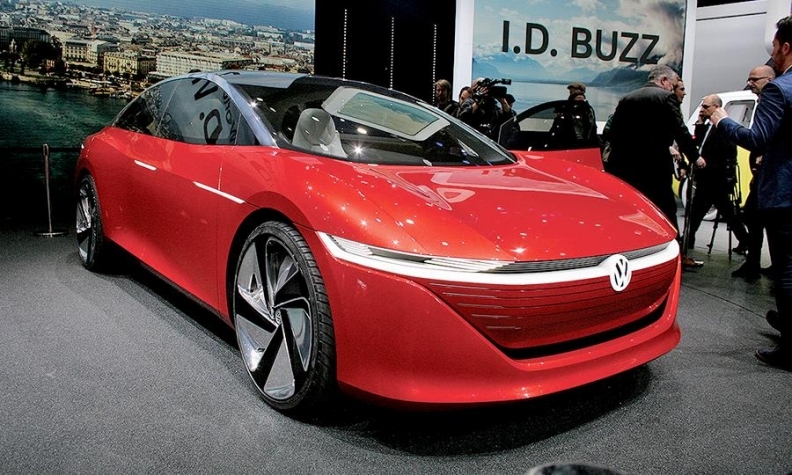 But they're no closer to looking production ready, despite VW saying it'll build each one. 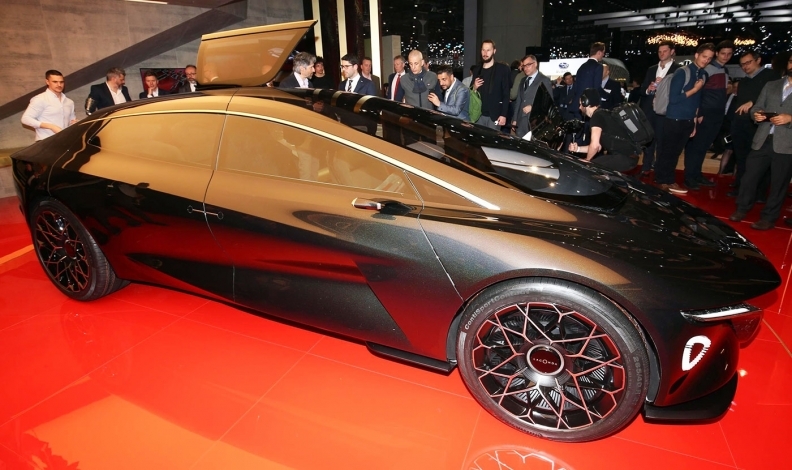 The Vizzion is slated for 2022, with a promised range of 413 miles. Looking at the concept's comically outsized wheels, lights for door handles and eerily flush-fit windows, you start to wonder if VW's electric reality is on a timescale permanently stuck in the future — a bit like hydrogen fuel cell cars. The absence of a steering wheel didn't help, nor did VW's continued obsession with replacing "s" with "z," following the Crozz crossover and Buzz bus. Dizappointing. The Viziv Tourer Concept was a definite hit. So what's it doing in the miss file? Because Subaru's appealing Viziv range of concepts have borne so little relation to production reality it's starting to get old. In Europe the brand is a mere speck on the sales charts compared with its U.S. footprint, so a sharply muscular all-wheel-drive sports wagon of the type Europeans love would be gratefully welcomed by its long-suffering dealers. They won't get it. By assimilating trends rather than setting them, Hyundai gets to chip off any weirdness. And so it goes with the Santa Fe. 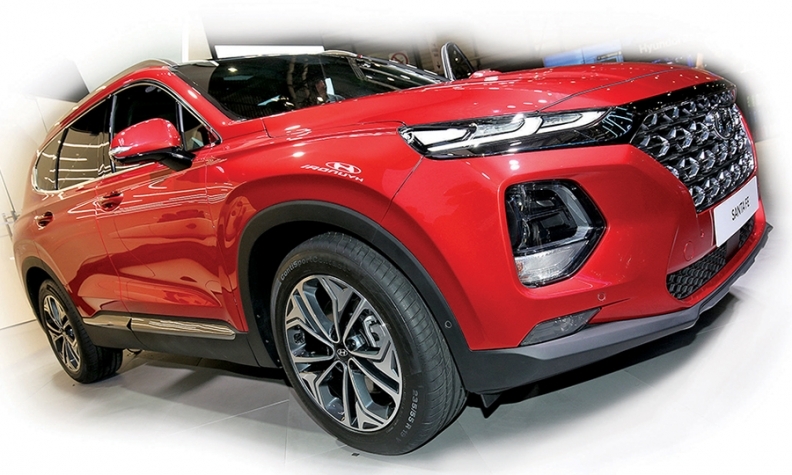 The larger, more confident grille doesn't plunge or contort violently; the slimmer headlights give a purposeful look without suggesting underlying anger-management issues. Inside, the dash screen is elevated to the "floating" position, which is high enough to be useful but doesn't try to digitize ALL the buttons. It arrives in summer complete with diesel, and Hyundai has now promised a hybrid and plug-in hybrid for 2019. Audi thought it would be funny to troll Jaguar by "unveiling" prototypes of its electric e-tron crossover, while others roamed the streets of Geneva in the same camouflage wrapper. 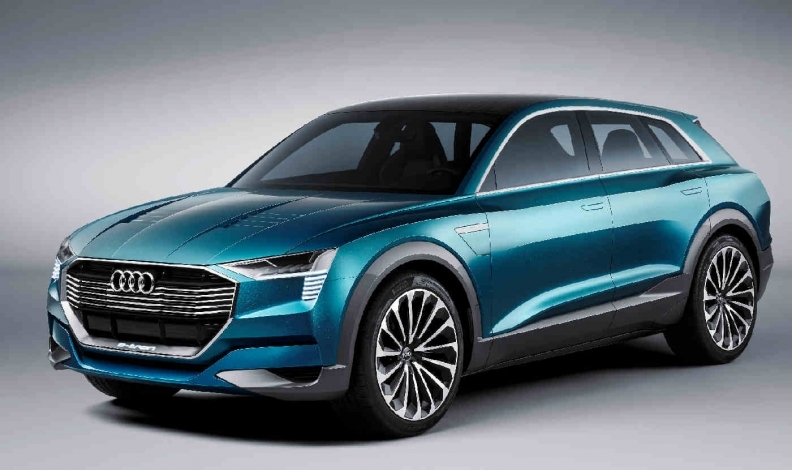 It showed the car to be an attractive, conventional crossover with little to distinguish it as electric. But, c'mon guys: We know you're launching this year. Leave the limelight to Jaguar, which beat you to the punch by launching the I-Pace now and promising delivery starting in July. There are editors in this business who'll rewrite "4-door coupe" as "sedan." 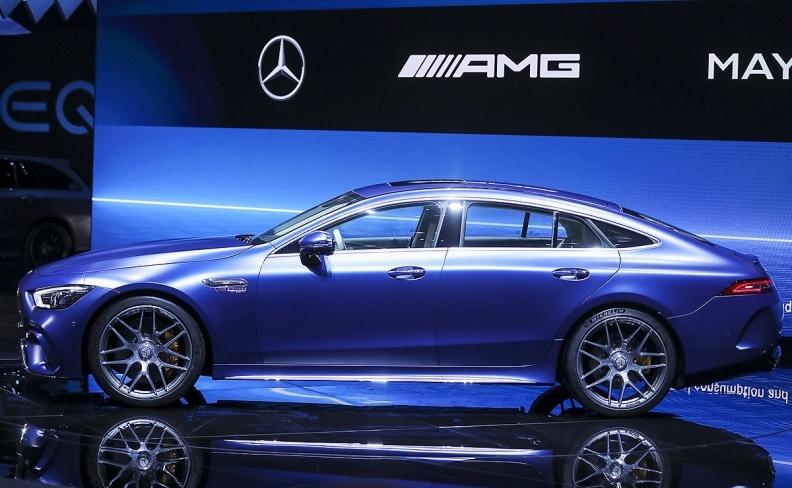 To thwart them, Mercedes' AMG line included "4-door coupe" in the name of its first practical sports car, due here early next year. It has four doors, yes, but it also displays a devotion to track-level performance that precious few sedans have seen, if ever. The 4.0-liter V-8 with 630 hp almost hits 200 mph. There's an acceleration timer and drift-angle calculator tucked away in the menus of one of the two 12.3-inch screens. Apparently it has its own "sporty" AMG fragrance. It smelled of leather and European motoring journalist. It was a hit.